Huawei is fast becoming a household smartphone brand. There’s even a decent chance you’re reading this on one of its phones, seeing as the company is now the world’s third largest phone manufacturer. If you’re using a Huawei phone, you might also be running all your apps on a Kirin system-on-a-chip (SoC) developed by HiSilicon, the Huawei-owned fabless semiconductor company based out of Shenzhen, China. Just like major rivals Apple and Samsung, Huawei designs its own processors. Doing so gives the company more control over how hardware and software interact with each other, resulting in products that punch above their weight, specification wise. In that sense, HiSilicon has become an indispensable part of Huawei’s mobile success. The range of HiSilicon processors has expanded over the years, covering not just flagship products, but the mid range too. Here’s everything you’ll ever want to know about HiSilicon, Huawei’s chip designing company. Huawei is a veteran in the telecommunications business. The company was founded in 1987 by former People’s Liberation Army engineer Ren Zhengfei, which has weighed heavily on the U.S. government’s attitude towards the company — historically and even recently. Huawei established its handset division in 2003, and shipped its first phone, the C300, in 2004. In 2009, the Huawei U8820, known as the T-Mobile Pulse, was the company’s first Android phone. By 2012 Huawei launched its first 4G smartphone, the Ascend P1. Before smartphones, Huawei provided telecommunication networking equipment to customers around the world, which remains a core part of its business today. In 2011, Richard Yu, current Huawei CEO, decided that HiSilicon should build in-house SoCs to differentiate its smartphones. HiSilicon was founded in 2004 to design various integrated circuits and microprocessors for its range of consumer and industry electronics, including router chips and modems for its networking equipment. It wasn’t until Richard Yu became the head of Huawei in 2011 — a position he retains to this day — that the company started looking at SoC design for phones. The rationale was simple; custom chips would allow Huawei to differentiate itself from other Chinese manufacturers. The first notable Kirin mobile chip was the K3 series in 2012, but Huawei continued to use chips from other silicon companies in most of its smartphones at the time. It wasn’t until 2014 that today’s Kirin brand of mobile chips appeared. The Kirin 910 powered the company’s Huawei P6 S, MediaPad, and Ascend P7. Just like other smartphone chip designers, HiSilicon’s processors are based on the Arm architecture. Unlike other designers, HiSilicon doesn’t create customized CPU designs based on the Arm architecture. Instead, the company opts for off-the-shelf parts from Arm — such as the Cortex-A73 CPU and Mali GPUs — to integrate into its solutions alongside other in-house developments, including modems and image signal processors. Huawei also doesn’t sell HiSilicon smartphone chips to third parties. It only uses them inside its own smartphones. Despite this, the chips are still seen as serious competition by the other big players in the market. Speaking in a recent interview with The Information, a HiSilicon manager stated the company viewed Qualcomm as its “No. 1 competitor.” However this rivalry isn’t anything particularly new, the two have gradually shifted from a friendly business partnership to a frosty competitive relationship. Huawei was a major purchaser of Qualcomm’s Snapdragon processors and continues to use its chips in some of its more cost-effective Honor smartphones. The issue for Qualcomm is that Huawei has surged to third place in the global smartphone market at the same time as it’s been increasingly using its own HiSilicon chips. Not only has Qualcomm lost a major partner, but Huawei’s growth has been squeezing out other brands that use Snapdragon processors. The situation was just as difficult shortly after HiSilicon announced its first mobile processors. Despite Huawei still being a customer, Qualcomm began heavily redacting product information, concerned Huawei may share information with HiSilicon. The company’s concerns perhaps weren’t unfounded, as Huawei employees have noted that working on the Nexus 6P with Google taught them a lot about hardware and software optimization. Huawei and Qualcomm are in closer competition than ever as they race for 5G and IoT related patents. Outside of SoCs, the two giants also now battle it out for patents related to IoT and other emerging connected technologies, particularly those involving 5G. Qualcomm has been the dominant holder of patents for the CDMA, 3G, and 4G industry standards, which, along with integrated modems in its chipsets, quickly thrust Snapdragon processors to the top of the Android ecosystem. This position could be threatened with the rollout of 5G, as Huawei is bulking up on patents for both consumer and industry 5G technologies, putting the two on a collision course. Qualcomm is still the bigger player. Across all market segments, it clocked in $22.3 billion last year, well ahead of HiSilicon’s $5.6 billion. But remember, Qualcomm sells to everyone, but only Huawei uses HiSilicon chipsets. HiSilicon’s latest flagship SoC is the Kirin 970. It’s in a number of Huawei’s high-end smartphones, including the Mate 10, P20 Pro, and the inexpensive Honor View 10. As we have come to expect from a chip powering expensive top-tier models, there’s plenty of high-performance components packed inside. An octa-core Cortex-A73 and A53 configuration paired with a Mali-G72 MP12 graphics unit make this HiSilicon’s most powerful chip to date. We’ve clocked it as a highly competitive product. The company has also improved its in-house image and video processing units to support high-end features, and a top-notch modem package makes the most of the world’s fastest LTE networks. One of its most notable features is the inclusion of a Neural Processing Unit (NPU). HiSilicon’s Kirin 970 joins Qualcomm and Apple in including dedicated hardware to speed up machine learning tasks, which range from speech recognition to image processing. Huawei’s quick move to bring this technology to the mid-tier Honor View 10 suggests the company wants to quickly incorporate machine learning advantages across its entire range of smartphones. Some new AI features in the P20 Pro are also due to be back-ported to the Mate 10 Pro. The Kirin 970’s predecessor, the Kirin 960, is a very similar chip in many regards, but lacks the new NPU, as well as some of the updated media processing and modem capabilities. Still, it’s a powerful chip found in both high-end Huawei and more cost-effective Honor branded models. Although Huawei still uses chips from Qualcomm for some of its mid-range phones, the Kirin 659 targets cheaper models that can make do with less processing power. HiSilicon’s product line-up can be easily split into two major categories. The Kirin 900 series caters for flagship chipsets with its very best features. The Kirin 600 series is the lower cost mid-tier option, using lower performance CPU and GPU components, and cutting down on image processing hardware that Huawei makes use of for its high-end camera configurations. Both of these ranges continue to be announced in ascending order, making it easy to keep track of the latest and greatest. 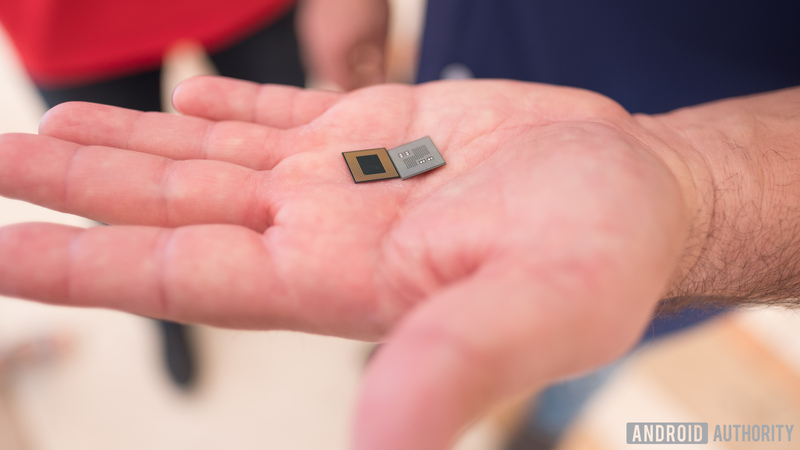 So far we haven’t seen a high-end chip boasting Arm’s latest DynamIQ technology and Cortex-A75 and A55 CPU cores, though HiSilicon quickly leaped on its latest GPU technology. The move to this new technology will require a bigger SoC revision than previous updates, so we may see an announcement along these lines later in 2018. HiSilicon, just like Huawei, has evolved quickly over the past half a decade. It has moved from a lesser-known player in the SoC game to a major company, rivaling the biggest names in the business. As Huawei and Honor device sales increase, HiSilicon’s position and influence in the mobile application processor market grows too. The company’s range of SoCs is certainly a competitive force that has helped to push Huawei’s smartphones into the top-tier and beyond the rest of the pack. Not only that, but the company is on the cutting edge with machine learning support too. With that and wider 5G adoption right around the corner, HiSilicon and Huawei are looking strong.